Our team take the time to explain how to improve your home care, and if there are ways to supplement it, to get a better outcome for you. It may be changing your toothpaste, using interdental brushes, trying an electric brush, or a water or air flosser – all designed to keep your teeth and gums healthy, and reduce the costs and problems of emergency dental pain. Just remember – when it comes to dental maintenance – it helps if you have something to maintain, and that starts with a professional cleaning, flossing and examination at Hampstead Dental. 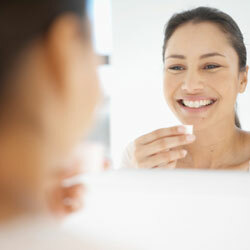 Call us to get started and we’ll show you how to brush your teeth – the right way! 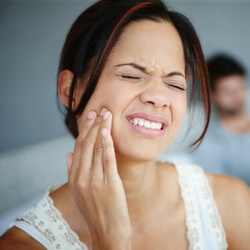 While our dentists are excellent, our Oral Health Therapists / Hygienists are specially trained to help you understand where you may be going wrong with your oral care technique, and to help you improve. They take the time to communicate with you – and can assist with any questions you may have in this regard at your regular visits. Yes of course there is – just like there’s a right way to do almost anything! If you want brushing to be effective, it has to be done properly in order to remove the bacteria and plaque that cause tooth decay and also to gum disease. Oral B 5000 IQ: with a variety of programs and heads, with the handy 2 minute timer you will be the expert brusher in no time at all. Oral B 5000 Twin Handle: ideal when you have a couple sharing a bathroom, or 2 kids who each need their own power brush. Philips Diamond Clean: when you know you need to use an electric brush, but want to be stylish while doing it. The sonic vibrations clean deeply, while the stylish glass charger, and handy USB travel charging case will impress. Oral B Water Jet / Oxy Centre: similar to the WaterPik but much cheaper. This handy device sits on your bathroom bench and helps you clean between your teeth, and many say its even more effective than flossing. Our dentists say to floss and use the water jet if you can – but if you have dexterity issues and cant manouver the floss, then this is ideal. Philips AirFloss: stylish looks and super effective air and water combination makes this a very handy flossing alternative. Recharge it at home, and you can even take it to work with you to use after lunch or snacks. 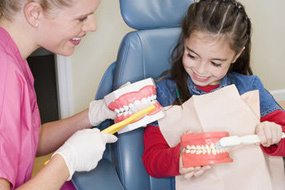 Remember, proper dental care starts with a periodic examination and cleaning at Hampstead Dental. We’ll get your teeth cleaned, take any necessary x-rays and let you know the areas of your mouth that you need to concentrate on a bit more to prevent further decay. We’ll also demonstrate proper brushing and flossing where you need help with that, and answer any questions you might have. Our aim is to make your dental experience with us pleasant every time we see you, and to minimise the need for costly, painful dental emergencies.